This entry was posted in Christianity, Religion and Spirituality and tagged beer summit, Bible, Christianity, Freedom of religion, God, politics, Religion. Bookmark the permalink. Pingback: » What About Beer Summit? Toyota’s humanoid.. 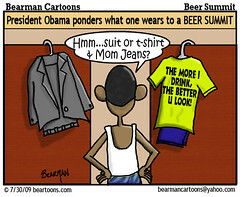 The beer summit..